Since the discovery of penicillin in the 1930s, the medical profession and the pharmaceutical industry have convinced the American people that taking medications is all they need to do to treat disease and be healthy. 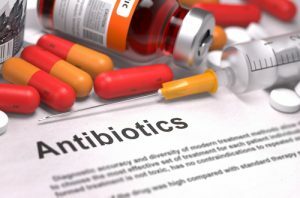 Antibiotics were very effective and doctors could cure the most common health problems of the time – infections, such as pneumonia. This huge therapeutic success birthed the “medical model” and the drug industry. According to the “medical model”, when you get sick you go to the doctor and it is his responsibility to give you a drug to cure the problem. However, the medical landscape has shifted greatly since the 1930s and the major medical problems are now chronic diseases, such as heart disease, cancer, high blood pressure, diabetes, arthritis and depression. And the medical model is no longer working. You cannot take a drug and make the problem go away. Drugs do not cure chronic diseases; at best they only reduce symptoms and often they cause side effects. Some studies show that chemotherapy for advanced cancer produces a 3 to 7% five-year survival. And, Dr Allen Roses, vice president of genetics research at GlaxoSmithKline, admitted in 2003 that 90% of drugs only work in 30 to 50% of people. Not only are many medications of questionable benefit, they often cause other problems in the body. According to a study published in the New England Journal of Medicine article published in 2003, researchers found that 25% of patients suffered observable side effects from the more than 3.34 billion prescription drugs filled in 2002. Also, 5% of hospital admissions, over one million per year, are the result of drug side effects. More than 1.7 million Americans die of a chronic disease each year, accounting for about 70% of all U.S. deaths. Five chronic diseases – heart disease, cancer, stroke, chronic obstructive pulmonary disease, and diabetes – cause more than two-thirds of all deaths each year. Arthritis is the number one cause of disability, affecting nearly 1 of every 3 adults in the United States. Stroke has left 1 million Americans with disabilities; many can no longer perform daily tasks, such as walking or bathing, without help. Diabetes is the leading cause of kidney failure and of new blindness in adults. More than 60% of leg and foot amputations unrelated to injury are among people with diabetes. Asthma causes 400,000 – 500,000 hospitalizations, 14 million missed school days, and 100 million days of restricted activity each year. What does the medical establishment do about this rising tide of illness? Offer more and more symptomatic drugs at higher and higher costs, along with increasingly expensive diagnostic procedures. According to The Power of Prevention, “Our nation spends more on health (disease care would be a better term) care than any other country in the world. In 1980, the nation’s health care costs totaled $245 billion – an average of $1,066 for each American. In 2001, the total health care cost was an astounding $1.4 trillion. This is an average of $5,035 for each American.” Chronic disease accounts for about 75% of health care costs each year. The total pharmaceutical marketing budget is $25 billion. Forbes magazine, “Just Say NO!” by Robert Langreth Nov. 29, 2004. The drug industry now spends more than $5.5 billion to promote drugs to doctors–more than what all U.S. medical schools spend to educate medical students. Major drug companies employ about 90,000 sales representatives — one for every 4.7 doctors in the United States, according to the American Medical Association. Rose JL. Physicians’ expectations of industry and sales personnel. Chicago: American Medical Association, 2002. Drug firms have spent $800 million since 1998 buying influence, including $675 million on direct lobbying of Congress. No other interest group has spent more money to sway public policy. Even doctors who avoid the glossy sales pitch of the drug reps cannot escape the impact of the drug industry. The Agency for Healthcare Research and Quality, a branch of the U.S. Department of Health and Human Services, works in partnership with the American Medical Association to provide Clinical Practice Guidelines (CPG). These CPGs are written by “experts” in order to guide doctors around the country in the best ways to treat their patients. 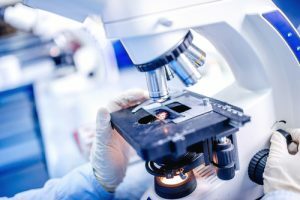 Doctors and hospitals also profit from the outdated and ineffective medical model as they are always available to provide diagnostic services and treatments for the epidemic of chronic disease. Medications only reduce symptoms and do not heal, so there are always plenty of patients for disease treatment. Consider the following example of diabetes treatment. Preventive care including frequent blood sugar monitoring, diet counseling and fitness training is known to be much more effective, but doctors often fail to provide such care because the payment system punishes them financially when they do. In 2000, a group of doctors in Bellingham, Washington, developed a program called Pursuing Perfection, which was designed to prevent diabetes and heart failure and to better care for patients who already had these conditions. The program was based on a multidisciplinary team of nutritionists, nurses, and others to help patients eat better, exercise more and improve their lifestyle. Pursuing Perfection improved the health of many patients suffering from diabetes and heart failure, producing many fewer emergency department visits and reducing medications. However, between 2001 and 2008, the program cost the local hospital, St. Joseph’s, $7.7 million in lost revenue because patients were not being admitted as often. Also, the county’s medical specialists, endocrinologists, internists and cardiologists stand to lose $1.6 million from lost procedures and office visits. Also, insurance companies will not pay for a nutritionist to teach proper diet. Consequently one group of sixty doctors withdrew from Pursuing Perfection because it cost them too much money. The Center will provide a model of health care which responds to the chronic disease epidemic and replaces the disease focused “medical model” which the “mindbody model” which focuses on promoting health as the best treatment for disease. This approach shifts the responsibility back to the patient by using the principles of preventive medicine, which include proper diet, nutritional supplementation, exercise, stress management and detoxification. While these tools are recognized preventive measures, they also help to treat existing disease.